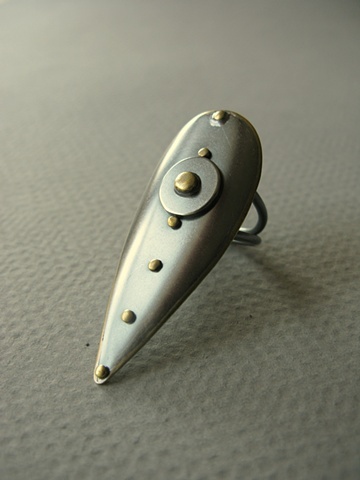 This bold, substantial ring is part of my new series of pieces inspired by historical shield forms. Kite shields were used by Norman soldiers during the Battle of Hastings in 1066 and can be seen depicted in the Bayeux Tapestry. The elongated point evolved as a way to protect the legs during close combat.